I was fortunate enough to get a full four months of (Paid) maternity leave with my first baby. That’s almost unheard of in the US. I felt comfortable about breastfeeding by that point. I felt like we had hit our stride and were killing it. But as my return date to work approached, I become more and more uncertain about how to make pumping and working a success. I had a very stressful job that required long hours. How was I supposed to find the time to pump? I didn’t pump a lot during my maternity leave (only when I need to try and build a freezer stash of milk) so I wasn’t all that comfortable using my pump. I also had no idea how much I needed to pump in order to keep up with my baby’s demand while I was away from him. When do you pump? How long do you pump? How the heck do you find the time?! 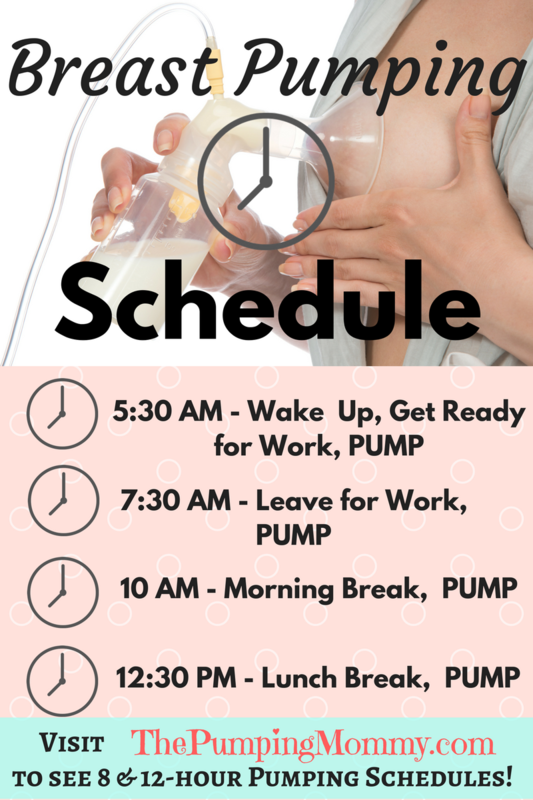 What does a breast pumping schedule look like? If you are reading this right now, and you feel like I’m describing your life, then this article is for you. I am writing this for all the moms who are panicking like I was before returning to work (or who are going to be exclusively pumping). It took a lot of trial and error, but I found a schedule that worked for us so I am sharing that with you! 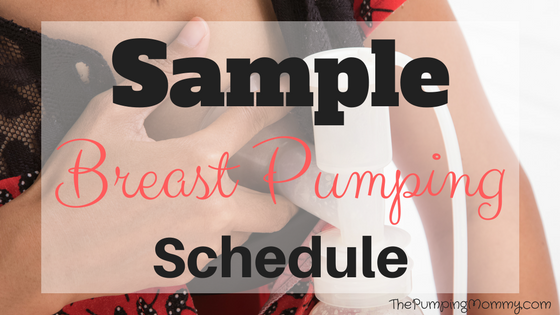 Before jumping into the sample breast pumping schedule, let me share a few quick tips and reading recommendations with you. Read this article on Pumping Basics to understand supply and demand and how pumping works. DO NOT skip pumping sessions. This is just going to set you up for low milk supply. If you do miss a pumping session, add another one at some point in the day. It is best to Pump for at least 20 minutes if you can. 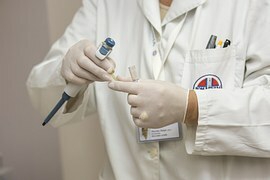 Read my Tips for Pumping at Work Article to get more timesaving tips to make pumping at work faster and easier. Get educated on Reverse Cycling. It is common for a breastfed baby to wait for mom for their feedings. Get Ready. Nurse baby once she wakes, gather daycare items, 20-30 minutes before leaving the house- pump (even if you just nursed). (optional to add another nursing session here or pump) Click here to read about Pumping and Driving. It’s best to pack a lunch so you can eat while pumping. Nurse baby before you leave (often times you can discuss with your provider to wait for you to feed the baby so they don’t feed her right before you arrive). If you are going to be delayed for some reason, you should call to advise them to feed the baby. Pump before going to bed or if the baby is still waking at night you can wait for baby to wake to feed her. A common concern from moms who work 12-hours shifts is how and when do I pump? This can be compound by the fact that positions commonly associated with 12-hour shifts, like nurses, are not covered by the ACA for protection for breastfeeding mothers. Click here to read who is covered by the ACA! So how can you keep your supply up while working 12-hour shifts? What does a typical day look like? Try this sample schedule that can be used for both day and nighttime shifts! Wake up, pump first thing for 15 mins, Get ready for the day. If taking your baby to daycare, get baby ready and gather daycare items (bottles etc). Nurse your baby before leaving. 6:30 am – Pump while driving/commuting. 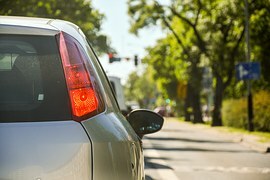 Click here to read about Pumping and Driving. **Note: If you are still struggling to maintain a supply, one tip is to set an alarm during the night to pump. This extra session can help a lot. Another way to store those extra ounces if you work 12-hour shifts is to be sure you are getting 2-3 pumping sessions in on your days off. Read this article on how to build a freezer stash to see how to accomplish that! Not all mothers are blessed to have a job where they can take breaks at their leisure or have unlimited time to pump. Ok, none of us have that! Hospital Grade pumps are best as they pull down more milk faster but even if you don’t go the hospital grade route, make sure you get a double electric. You will pump more milk and have more letdowns when double pumping. 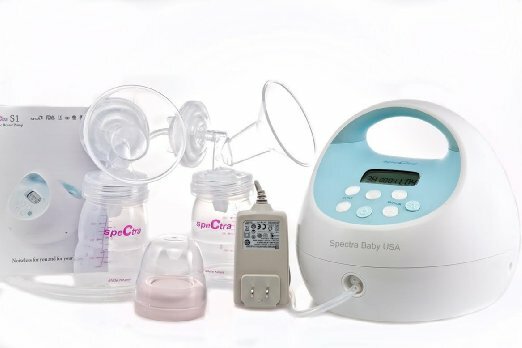 I suggest you look into the Spectra S1 or Spectra S2 which are both affordable and powerful hospital grade pumps! Perfect for working moms. To see more Breast Pump Reviews – Click Here! Typically you should try and pump for 15 minutes or more (20 is ideal) but on a 10 to 15-minute break, that may not be possible. So try to get at least 10 minutes of pumping in. It is difficult to achieve multiple letdowns in less time than that which equals less milk pumped. I would suggest you have 4-5 sets of pump attachments (breast shields, valves, membranes) so you can quickly pump and throw them in a bag to take home and wash.
You can be in and out of a pumping session in less than 15 mins. Another option for pump parts is to store them in a clean, sterile bag and put them in a refrigerator after using them. So if you have limited parts, this might be an option. Sarah Wells makes an amazing Wet Bag to compliment her Pump Bag. This article features a list of patterns that she offers. These are amazing if you want a wet bag to store your parts in! This will work best if you have multiple attachments. 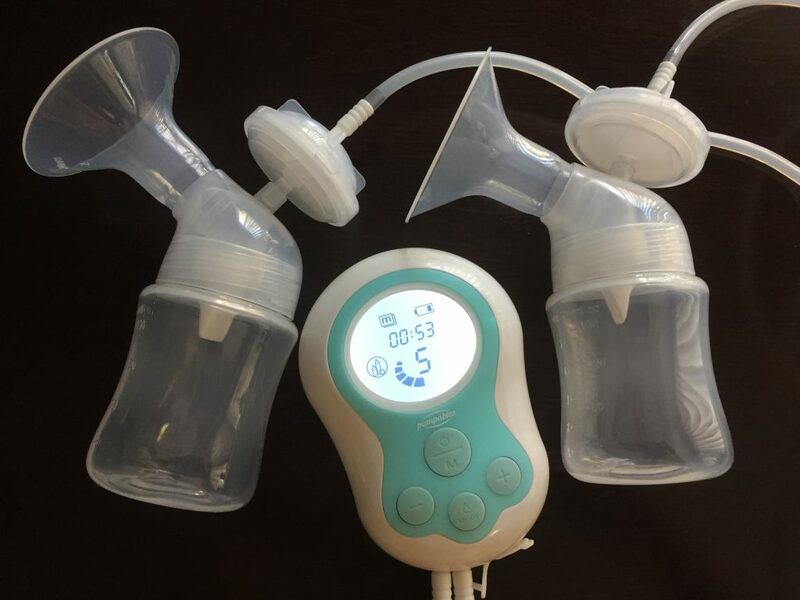 Have the milk collection bottles or all-in-one collection bag already attached to the tubing so you just connect the breast shields to your breasts and pump away! No time wasted! Don’t fuss with having to hold the breast shields in place. Do yourself a favor and invest in a good pumping bra. It is worth it! I highly recommend the Clip and Pump. You can wear it with any nursing bra. It clips right in and is super easy and quick to put on. If you don’t wear nursing bras while working, my next choice would be the Simple Wishes hands-free bustier. Both of those hands-free pumping bras are amazing and will make your pumping life 100 times easier! Herbs can be a huge help in maintaining your milk supply. Some of the best are Fenugreek and Goat’s Rue. Both are very powerful in helping increase your milk supply. Motherlove makes a great supplement, which in my opinion works amazingly well. Click here to read about Motherlove More Milk Special Blend. There are also lactation teas, cookies, and smoothies that you can make/buy to add to your daily routine. If you are looking for a quick boost, this is a good place to start! Have some time-saving tips for pumping? Share them here by leaving a comment! Read: Need Parts or Accessories for your Pump? Click Here to Find Everything You Need! 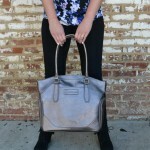 Read: Find Out Why All Moms Need This Sarah Wells Pumping Bag! Read: 8 Tips for Pumping at Work – Make Working and Breastfeeding a Success!